Cotton / poly blend ladies tank with split side hems. Featuring Enrique radio photo on front. 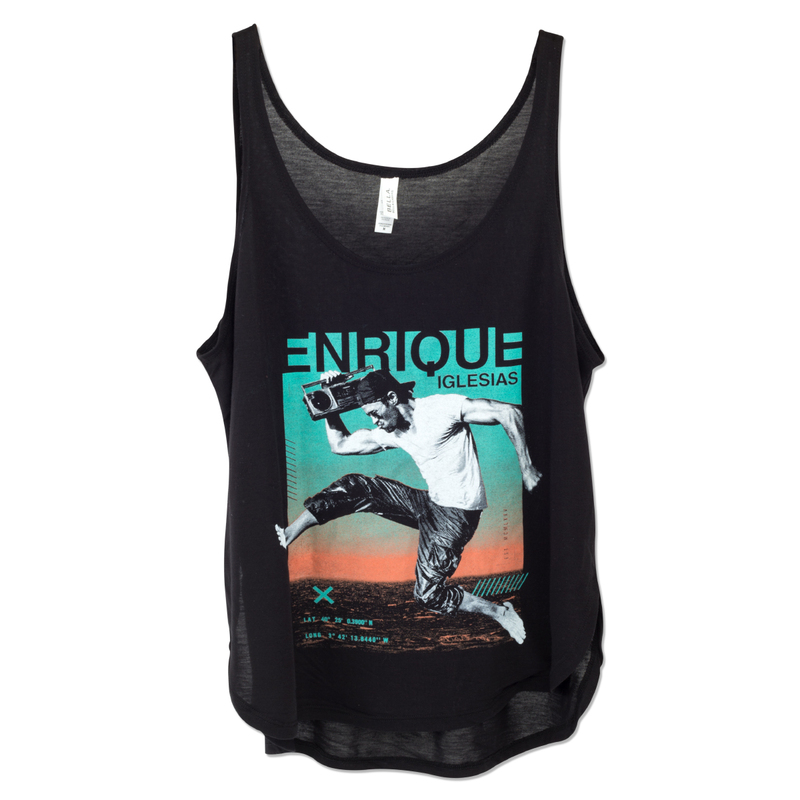 The lightweight material on this tank is great for hot summer days. It's a bit short for my taste and it runs big. I would recommend purchasing a size smaller. This blouse it's so bautiful. I have wear this blouse three times and I always get compliments.